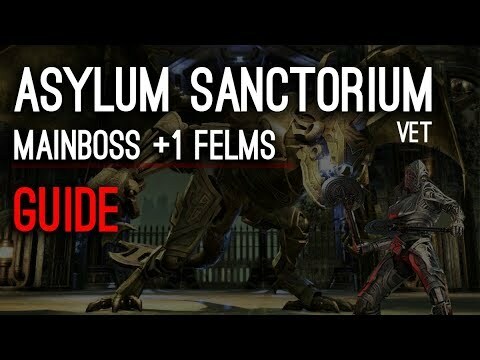 Welcome to the Asylum Sanctorium Guide. Sotha Sil, always seeking knowledge, used three Dunmer saints in his earliest experiments into everlasting life. Using the power of Soul Gems, he created mechanical vessels for the saints and imprisoned their souls within. While the experiment was successful, the Saints were driven insane by the process. The Asylum Sanctorium was created to house the Saints so that they would not threaten the rest of the Clockwork City. The Saints have grown in power during their imprisonment and now threaten to break free of their prison. The time has come to end the threat they pose. 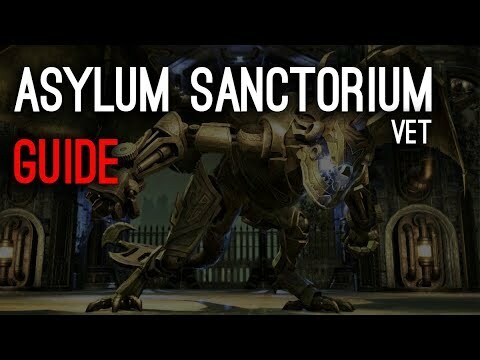 The Asylum Sanctorium Guide will contain all four version of the veteran Asylum Sanctorium. 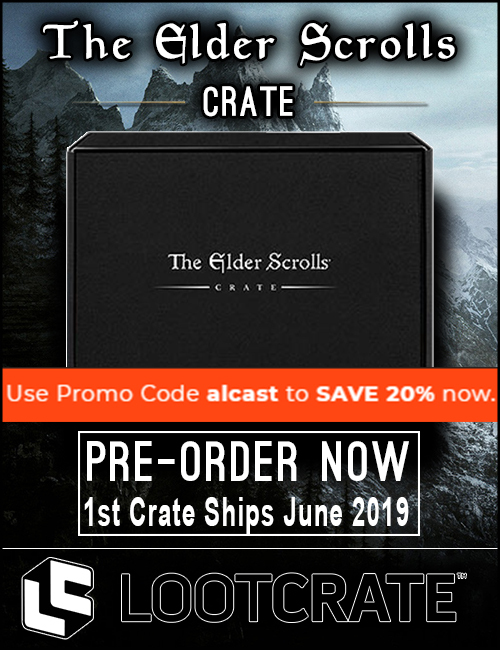 This Trial can be found in the Clockwork City. I recommend running 2 Healers, 1 Maintank, 1 Offtank and 8 Damage Dealers. Most important thing is, that a few of your damage dealers run Crushing Shock to interrupt certain mechanics of the Poison Boss. Your Healers also should run Purge to cleanse a few enemy DoTs, this is very important. 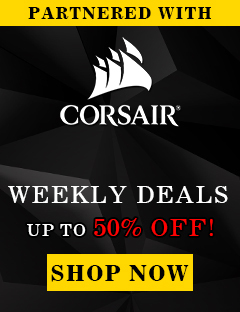 For magicka setups make sure to run Harness Magicka and for stamina setups make sure to run Deadly Cloak (For Dualwield). I also recommend having Major Resolve and Major Ward on your characters at all times, most classes have access to them and they provide about a 10% extra damage mitigation. I highly recommend running at least 1 Magicka Templar Damage Dealer with Kagrenac’s Hope set. This will make ressing allies a lot easier. Make sure to kill the adds in a fairly short time, they do not have a lot of health and can be stacked next to the mainboss. If you do not kill them fast enough they will enrage and eventually oneshot everyone. The Mainboss has two dangerous attacks, Defiling Blast where he targets one Player that will slightly glow green. That person has to make sure to stand still so the other players can move out of the green conal area. People that do stand in the conal area have to block the pulses otherwise you will get oneshot. So make sure to block first and then run or dodge roll out. The second dangerous mechanic is the Oppressive Bolts where the boss will charge up for one second and glow green. Then shooting poison balls to all group members, this mechanic can and must be interrupted by either the tank or someone else. Boss channels for a second. Releases a Bolt which Targets only the Player/Tank currently with agro. A single laser beam that targets the Player/Tank currently with agro. 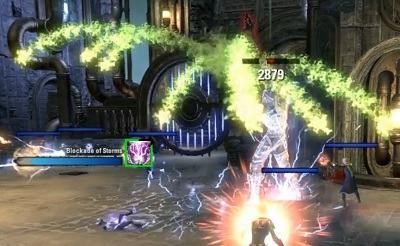 Two players have to be placed outside the group, one on the left and one on the right side to “catch” the Teleport Strike attack from the boss which will leave a huge red AoE on the ground. He always jumps to the furthest person away. That AoE also leaves Maimdebuff on players, which results in them dealing less damage. 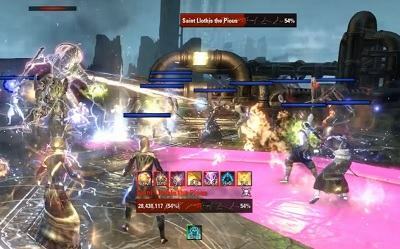 Manifest Wrath has to be avoided, we usually stack close to the boss and when he does this attack, we all spread out a bit and once it exploded we go back close in to the boss. The adds have to be killed fast, otherwise they will enrage so make sure to save your Ultimates for when they spawn. When Felms reaches 25% health or lower the adds will enrage faster, which means you really need to make sure to kill them fast. Make sure to tank the boss towards the right side of the map, like you can see in the picture here. One of the healers or a damage dealer also has to stand in front of the boss, like you can see in the picture. This needs to be like that so the person can kite the shock fields that will otherwise land on the maintank. 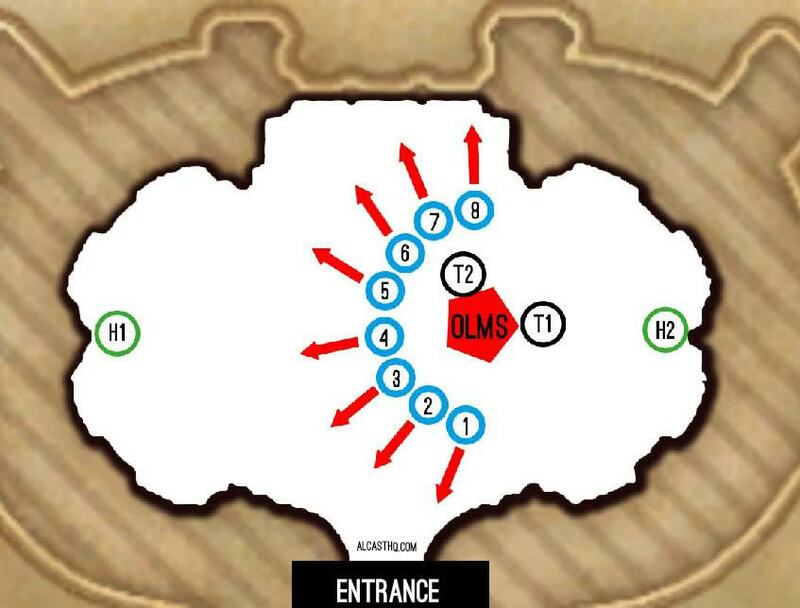 At 90%, 75%, 50% and 25% the boss will jump to the left side, right side a few times, at the entrance or exit are save spots so you can simply go there. After that the boss will most likely use Storm of the Heavens, you need to be spread out and avoid those AoEs. If you get hit by two or more you are instantly pulverized. So it is very important that people do not run over each other, otherwise this might cause a lot of deaths. Spheres will spawn from time to time, if a sphere is connected to the boss, then the boss is damage immune which means you need to focus down the spheres as fast as possible. The only very difficult mechanic once you reach 25% is the huge Fire AoE called “Trial by Fire” there will be 3 spots where huge fire AoEs will land at three places in the room. You need to make sure that everyone is in purge range to immediately purge the enemy DoT from you. People have to use Harness Magicka to not instantly die because it hits for a lot of damage. Like I said in the beginning, I recommend that one Magicka Templar DD or a Healer is using Kagrenac's Hope so people can be ressurected faster and prevent a wipe. In Hardmode the positioning is very important. Make sure each Damage Dealer has an assigned position. So he knows exactly where he can run when the shock AoEs falls to the ground. 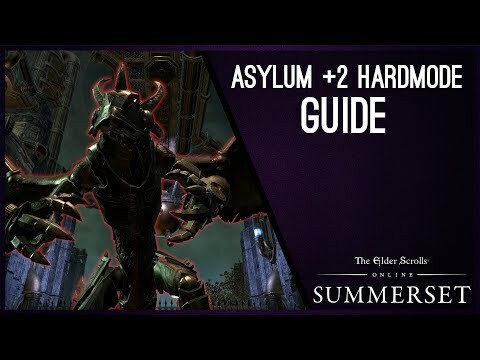 The healers have still to kite the Dualwield Maim fields and Healer 2 also has to take care of the Shock field AoEs behind the main tank, place them as close as possible to the wall. 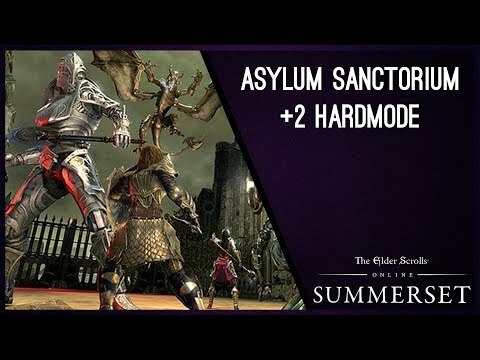 Asylum Sanctorium +2 Hardmode requires a bit different setups than in other raids. I always recommend using as many Magicka Nightblades with Funnel Health as possible because you really need the extra healing.